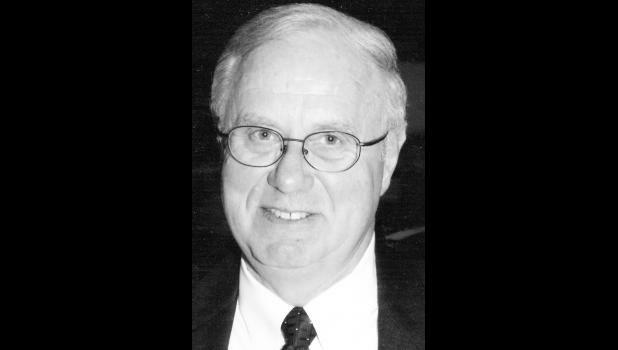 Donald “Don” Clair Utz, 69, of Frederick County, Va., died sud­denly Monday, Jan. 5, 2015, at Winchester Medical Center in Winchester, Va.
Mr. Utz was born in 1945, in Horton, the son of Margaret Utz and the late Corliss Utz. He was a graduate of Holton High School, Class of 1963, and Kansas State University, where he received a Bachelor’s Degree in Dairy Food Processing. Mr. Utz was a veteran, having served in the United States Army Reserves. He retired as COO of Manufacturing Operations for Maryland/Virginia Milk Producers Cooperative on Dec. 31, 2014, after 45 years in the dairy business. Pre­viously he was a general manager with Valley Milk Products in Strasburg, Va. He married Barbara Bower on June 18, 1966, in Holton and en­joyed 48 years of marriage to his high school sweetheart. Surviving with his mother and wife are his daughter, Gina Woo­dall and her husband, Eric, of Ster­ling, Va.; son, Christopher Utz and his wife, Anne Marie, of Winches­ter, Va.; four grandchildren, Melanie Woodall, Andrew Woo­dall, Maggie Utz and MaryGrace Utz; and his brother, Kenneth Utz and his wife, Charlotte, of Holton. While Don was passionate about business, his pride and joy was his family, especially his four grand­children who adored Grandpa. He loved outdoor adventures with his wife and close friends, including hiking, biking and sightseeing in the national parks. For those who knew Don, he was always there to offer a helping hand, whether it be cooking and feeding the homeless at Jubilee Kitchen, ringing bells for the Salvation Army or assisting a neighbor in need. The family will receive friends from 6 p.m. to 8 p.m. Thursday at Omps Funeral Home, Amherst Chapel, Winchester, Va. A funeral service will be conducted at 1:30 p.m. on Friday at First Presbyterian Church in Winchester, with the Rev. Dr. Richard Reifsnyder officiating. There will be a reception following the service at the Fellowship Hall of First Presbyterian Church. Interment will be private. Memorial contributions may be made to First Presbyterian Church, Jubilee Kitchen, 116 S. Loudoun St., Winchester, VA 22601.